One of the principle services that we provide is regulating, controlling and facilitating development to secure the efficient working of the drainage system now and in the future. 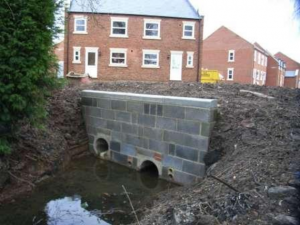 This is done by reasonable application of the Board’s Byelaws and the Land Drainage Act 1991, and by working closely with Developers, Local Authorities, the Environment Agency and other Stakeholders. Attenuate surface water run-off arising from development. If you would like any further information on whether you need the Board’s consent to do something or on how we will consider your application, please contact the Group’s Flood and Water Manager.